The search for the perfect car that fits the bill and checks off all the boxes; a situation many of us have endured. I have endured such a pursuit and came out on the receiving end of an unpleasant surprise. 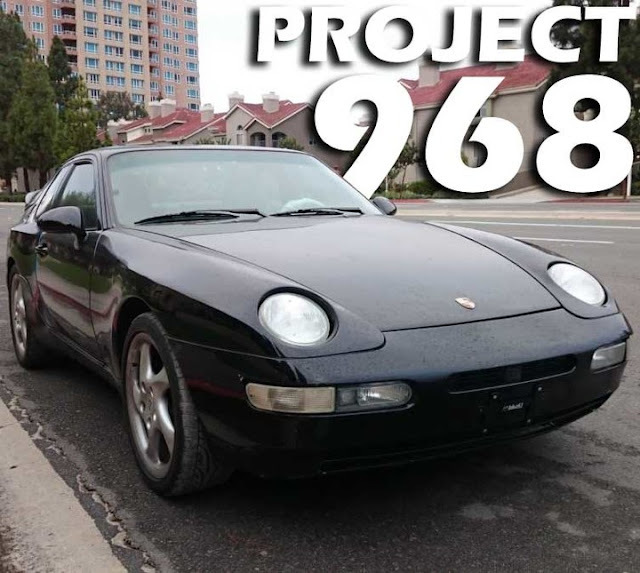 After several months of searching, I thought I found the Porsche 968 that satisfied all my requirements. 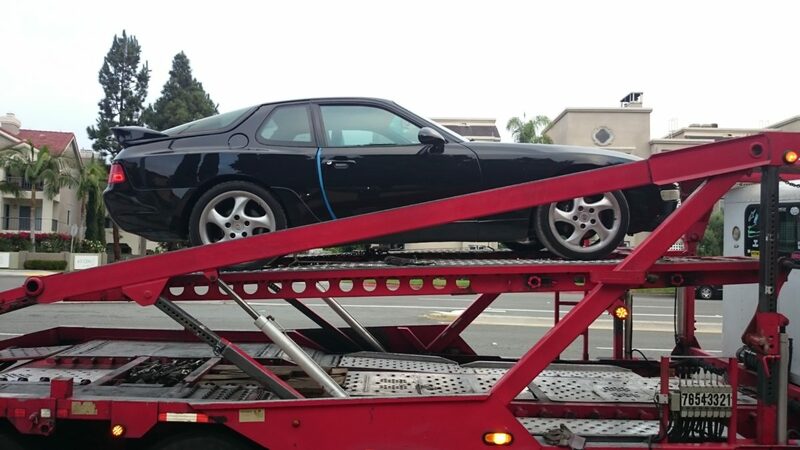 The listing on Ebay, for a 1994 Porsche 968, was not active anymore so I contacted the seller directly. The seller seemed to be honest during the several email and phone discussions, but when buying a car sight unseen, the seller’s claims should be verified. I searched out the best reviewed local Porsche shop in Maryland I could find available on short notice, and enlisted their pre-purchase inspection (PPI) services. The shop came back with a reasonably clean bill of health, aside for the known issues, noting minor issues such as window switches, mirror adjustment, sunroof leak and worn wipers. At this point there was little reason for me to back out of the sale, so I transferred the money and arranged for shipment to California. From the moment I purchased the Porsche, my plans for its destiny have evolved. My initial plans were to fix the couple things that were mentioned by the seller (heater core, timing belt, and water pump) and keep the rest as is. Knowing that the car has been neglected in its life, I have decided to go through most of the vehicle to bring it back to factory integrity. My first purchase for the Porsche occurred on this site, throtl.com, a site I did not know about until now. For a couple weeks I have been looking around on Ebay, craigslist, and other Porsche forums for wheels that would be more appropriate for the Porsche 968 and would save me money. The plan was to sell the 18” Turbo Twist wheels and purchase wheels that would save me money. This would compensate for my unbudgeted costs associate with the work the 968 needs. I was looking to the typical Porsche Cup 1 and Cup 2 wheels that were available as an option on this car. None of the purchases panned out as either the wheels were not local or the price was unreasonable for my budget. It was not until I saw a picture of a Porsche 968 with early 996 wheels that I knew what wheels I really wanted for the car. A quick search on the forums lead me to a listing on throtl.com, which had a set of wheels with tires that were priced right and local. Within a day I had the wheels in hand. Ever since I made the purchase, I have added throtl.com to my regular search list when looking for parts. The search interface makes it easy to quickly scan what is on the market without having to open up every single listing to understand what is really being sold. Throtl also links listings from car enthusiast forums like Pelican Parts and Rennlist. 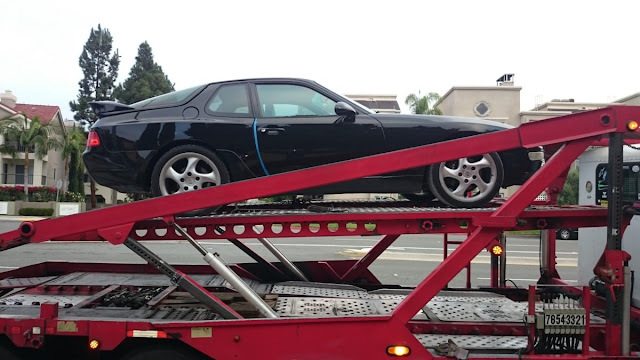 Throtl will undoubtedly help me buy and sell parts to make my Porsche 968 whole again.